We visited Blacksburg, Virginia and asked students and alumni, “What makes this place so great?” We heard all about the fine athletic tradition, the HokieBird™, Top of the Stairs, and the Corp of Cadets. We took a break at Gillie’s to compile our research. The results? 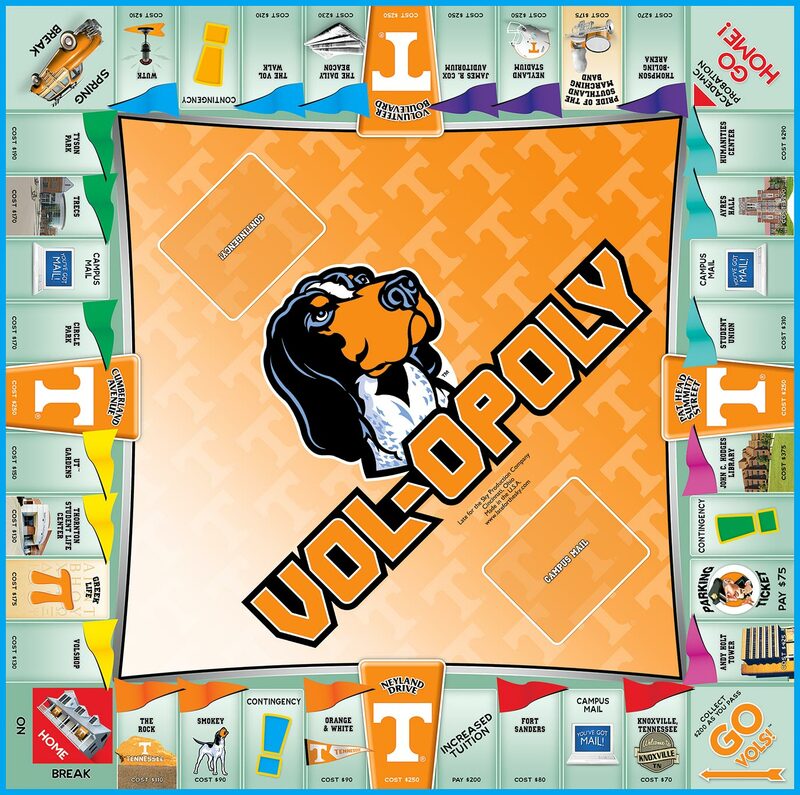 A game so full of Virginia Tech™, we could hardly get the lid on! 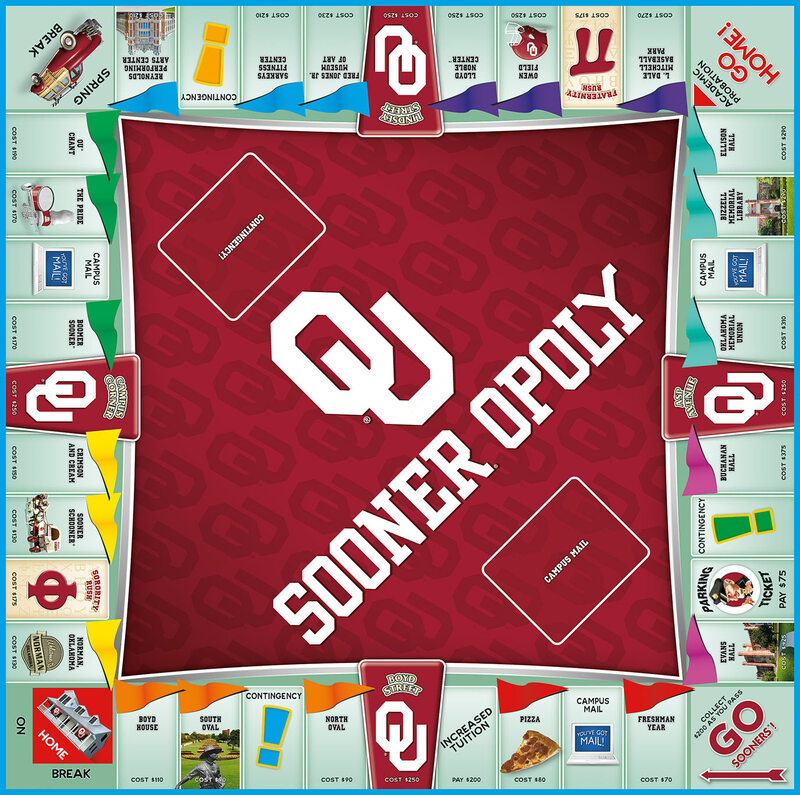 HERE’S A QUICK IDEA OF HOW TO PLAY! 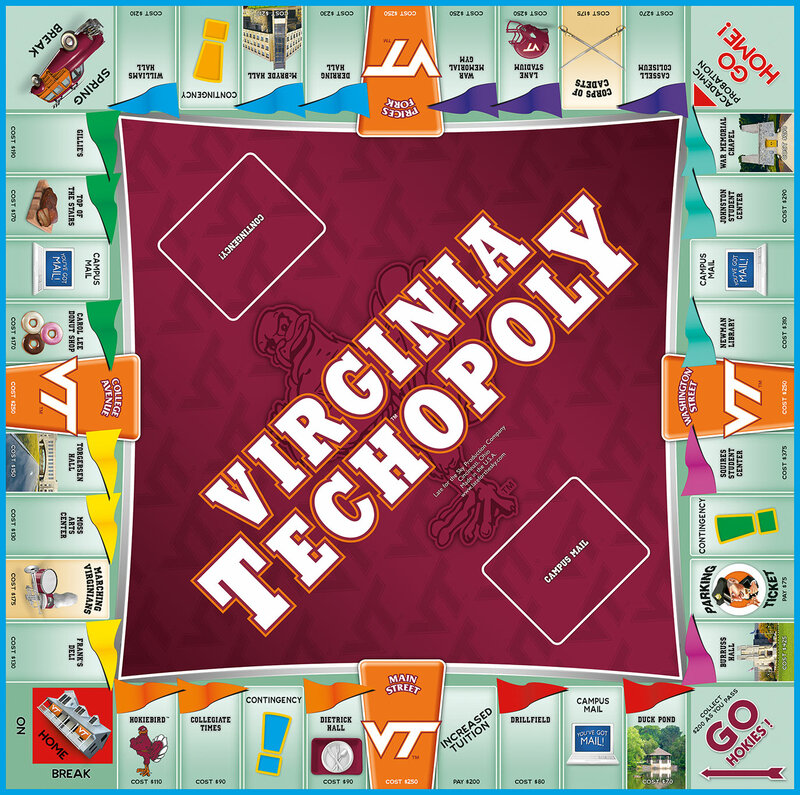 Choose your token, buy well known Virginia Tech™ properties, collect credit hours and trade them in for diplomas. 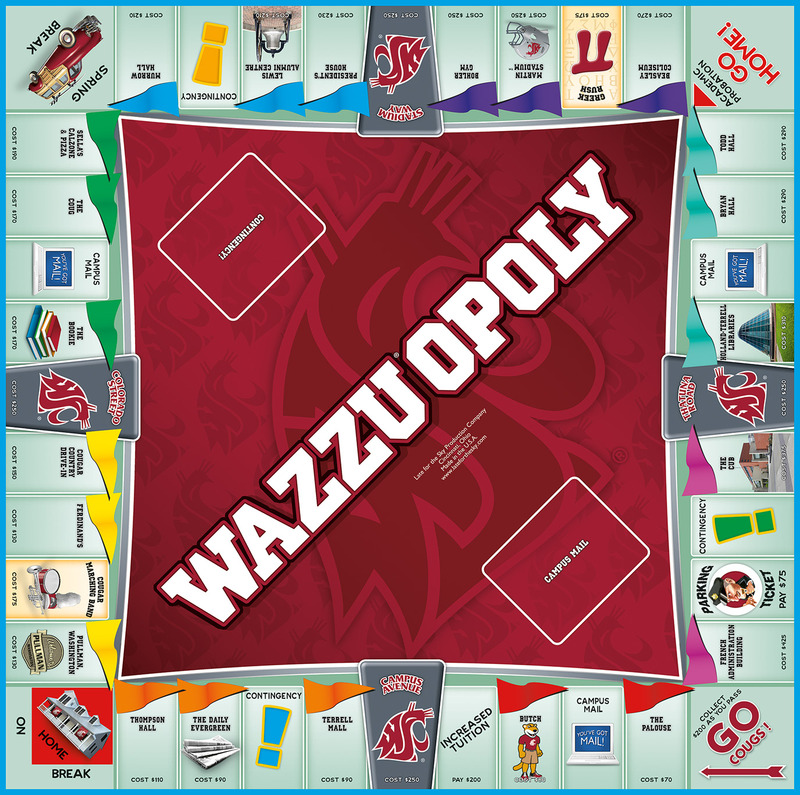 It sounds easy enough – but add academic probation, summer school and increased tuition and it becomes a little more difficult and a lot more fun. So roll the dice! Who knows! You may soon be the newest member of the Marching Virginians…or you may be bumming quarters to do your laundry! 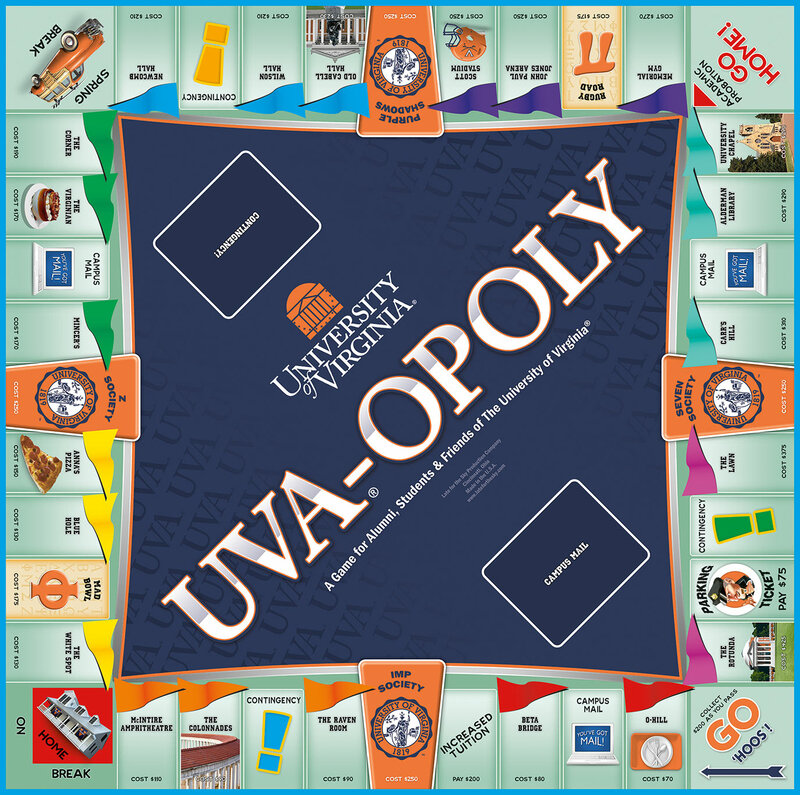 Are you looking for a fun way to experience Virginia Tech™? Here it is!